Snow chains Tire chain usage is permitted for hazardous weather only, but may not damage the road surface. 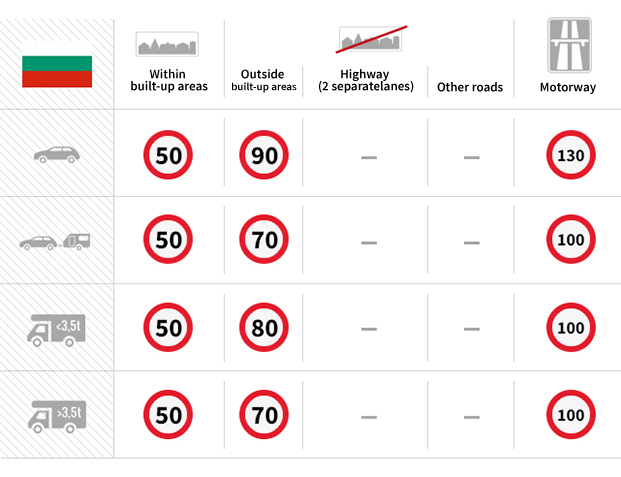 Hello, The speed limit on highway in Bulgaria is 140 km/h. Using the day driving light is the whole year. Regards, Eugene Ts.